Dar Mystere is a traditional Moroccan courtyard house, or dar, available for up to 6 people to rent exclusively sharing in 3 bedrooms. From as little as €40 for two sharing per night (plus an additional €20 per extra person), guests have exclusive use of the house. It is perfectly located for the first time visitor to the ancient medina of the former capital city of Morocco. Dar Mystere is an affordable option for independent travellers who prefer privacy and value their own space. Single occupants, couples or small parties can experience the harmony, simplicity and beauty of Moroccan life 'behind closed doors' in the mysterious ancient medina of Fez. We are now accepting booking for the Fez Festival of Sacred Music 2019 which runs from 14 - 22 June this year. There is more information on the festival here. You can contact us for a personal quote or make a booking through our TripAdvisor page. 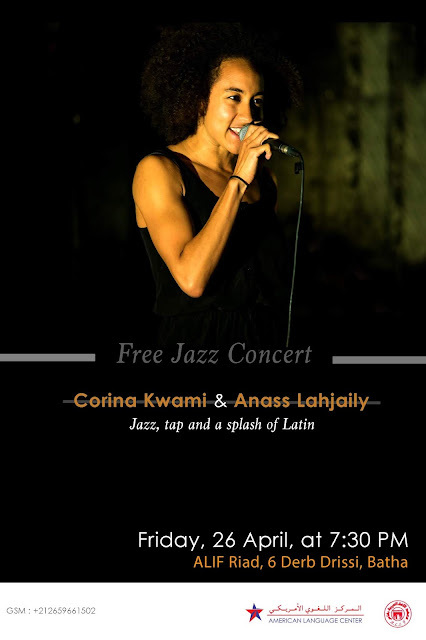 Free Jazz Concert by Corina Kwami & Anass Lahjaily Friday, 26 April, at 7:30 PM ALIF Riad, 6 Derb Drissi, Batha Come join us for an evening filled with the stylings of swing, tap and a splash of Latin grooves! Best described as a "modern Renaissance woman," Corina is global singer and dancer curating performances with the purpose of blending cultures, like genres, such as jazz, have done for decades. Based in the UK, she draws on experience from the US to Switzerland, Germany to Colombia, Rwanda to Morocco and learning from folks from all parts of the global. 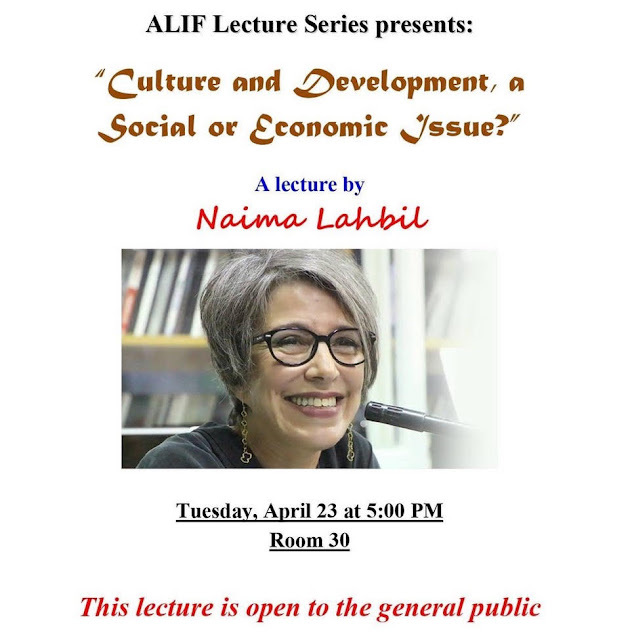 As a singer and tap dancer, she is most motivated by the story-telling power of jazz and its potential for connecting people across cultures. SHARE THIS! Lixus opens its doors to the general public! On Saturday, Minister of Culture and Communication, Mohamed Laâraj, presided over the official opening ceremony of the Lixus archaeological site interpretation centre, the oldest metropolis in the Kingdom, and one of the oldest urban centres in the world. The Lixus archaeological site interpretation centre Lixus is an Amazigh (Berber) name that means “golden apples” in Arabic. According to historical sources, the city of the “golden apples” was built in 1180 B.C. by an Amazigh King of the ancient kingdom of Mauretania. The city experienced major development during the reign of Amazigh King Juba II during the 1st century B.C. Lixus was settled by the Phoenicians in the 8th or 7th century BC and was later controlled directly from Carthage. It was part of a chain of Punic towns along the Atlantic coast of modern Morocco; other major settlements further to the south are Chellah (called Sala Colonia by the Romans) and Mogador. When Carthage's empire fell to Rome during the Punic Wars, Lixus, Chellah, and Mogador became outposts of the province of Mauretania Tingitana. The Roman amphitheatre Lixus flourished during the Roman Empire, mainly when the emperor Claudius (AD 41-54) established the province of Africa with full rights for the citizens. Lixus was one of the few Roman cities in Berber Africa that enjoyed an amphitheater. In the third century, Lixus became nearly fully Christian and there are even now the ruins of a Paleochristian church overlooking the archaeological area The Muslim invasions destroyed the Roman city. Some Berber life was maintained for about a century after the Islamic conquest of North Africa, attested by the presence of a mosque and a house with a patio with walls covered with painted stucco. SHARE THIS!